What are the top landmarks in Glasgow? George Square is a well-known landmark worth seeing in Glasgow. Experience the area's entertainment choices and great live music. The home of Scottish soccer, this stadium is beloved by fans of the game who gather here for its electric atmosphere and popular museum about the sport's history. 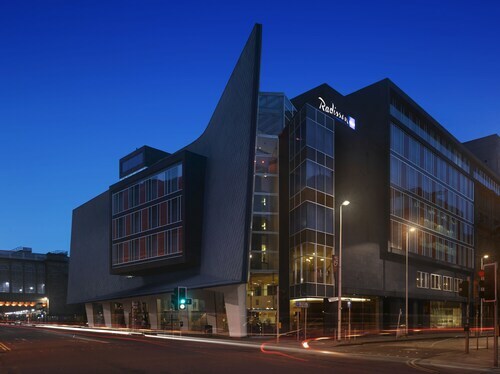 Find out what's happening in Scottish Exhibition and Conference Centre during your trip – a top convention centre in Finnieston. Discover the area's lively bars and its fascinating museums. 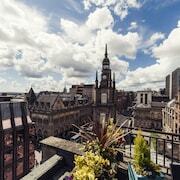 A welcoming neighbourhood, City Centre Glasgow offers a variety of options for bars and restaurants. For a taste of local culture, you can visit the museums and art scene. Discover one of the coolest corners of a Glasgow, a trendy student district with historic streets, popular arts venues and offbeat places to eat and drink. North Glasgow is a welcoming neighbourhood. North West is a neighbourhood that welcomes all visitors. East End is a welcoming neighbourhood. Very good location for airport, Glasgow and quite central if going to different parts of central Scotland sight-seeing or shopping. from booking in till leaving the service was first class! plus hotel perfect for exploring around loch lomond and beyond! and a drive into Bishopton and train into glasgow. I was born and raised in Glasgow, I love the city, the friendliness and helpful nature of most who work the service industry is unparalleled. 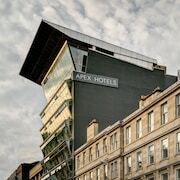 Have been enjoying weekends in Glasgow for many a year and this is by far the best hotel I've had the pleasure to stay in, absolutely faultless. The entrance, bar, restaurant and staff were all great. The staff were great with our children and in general it was a super child friendly place. However, the room itself was a little tired with quite badly stained carpets. Also the window did not open and the air con did not work so we were boiling hot. Great Location. Great Staff. Great Value. Convenient to sights and airport. Clean rooms and helpful stafff. Glasgow is Scotland’s largest city and one of the most welcoming and lively destinations in the UK. Once known for heavy industry, marine engineering and international trade, Glasgow has re-invented itself in the last few decades as a hub of arts and culture. 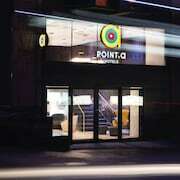 And with some of the best UK shopping outside of London, this is also a great destination to enjoy some retail therapy. Whatever your reasons for visiting, there is a great range of hotels in Glasgow to choose between, from budget properties in the city centre to lavish heritage hotels. Affectionately nicknamed ‘Dear Green Place’ by locals, Glasgow is characterized by attractive green spaces, distinctive Victorian architecture and world-class galleries and museums. A great night out is always on the cards here, too, and the city has an exceptional live music scene built around legendary venues such as King Tut’s in the city centre and Òran Mór on Byres Road. Glasgow is one of the UK's cultural capitals, and it has a range of top-class museums and galleries to match. In the city’s fashionable West End, Kelvingrove Art Gallery and Museum is one of Scotland's best cultural attractions. Opened in 1901, the museum has 22 themed collections, covering everything from Ancient Egypt to the Wild West, via various Scottish classics, of course. 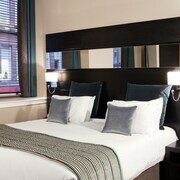 Our hotels near Kelvingrove Art Gallery and Museum make it easy to pay a visit to this outstanding institution. For a taste of Glasgow's café culture, make a detour to nearby Ashton Lane when you're on this side of the city – a cobbled street full of trendy bars and restaurants just off Byres Road, it's as good for evening drinks as it is for a lazy brunch. For hundreds of interactive exhibits that will delight kids and adults alike, head to Glasgow Science Centre in the Pacific Quay Area. This distinctive dome-shaped building is also home to an IMAX theatre and a planetarium. 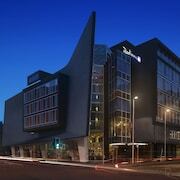 Check out our hotels near Glasgow Science Centre if you’re looking to stay in this part of town. When you fancy stretching your legs, there are a number of picturesque in Glasgow. When the weather allows, you can wander through the pretty Botanic Gardens on the Great Western Road. On less sunny day you can enjoy a walk among palm trees and cacti and explore the city’s history in the People’s Palace & Winter Gardens. Our hotels near the Botanic Gardens include the Heritage Hotel and Clifton Hotel. Glasgow has an impressive heritage of Victorian architecture thanks to the vast industrial wealth generated in the city during the 19th century. The University of Glasgow, designed by Sir George Gilbert Scott, is a fine example – check out our hotels near the University of Glasgow if you’d like to stay nearby. Another of Glasgow’s most beloved architects is Charles Rennie Mackintosh, who designed the Willow Tea Rooms among other buildings; you can spot his Art Nouveau style throughout the city. Glasgow’s cultural calendar is packed with entertaining events showcasing local and international talent. For folk and world music fans, Celtic Connections Festival takes place each January. During July Merchant City Festival turns the city into a giant theatre, as music, art, comedy and drama take centre stage. Glasgow Winterfest and the city’s Hogmanay Celebration end the year in style with plenty of festive fireworks. There are concerts and live music in Glasgow throughout the year, with some of the city’s premier venues including the O2 Academy, SECC, the Barrowland Ballroom, King Tut’s Wah Wah Hut (usually King Tut's for short), and many more venues around the city. How Easy is Getting Around in Glasgow? 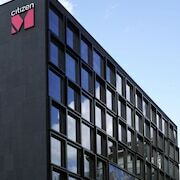 After a day tramping around museums or a night out on the town it’s easy to get back to your hotel thanks to Glasgow’s public transport connections, which also connect the city’s main ports of entry. Glasgow International Airport is a 15-minute shuttle bus journey from the city centre. The main train stations are Glasgow Central and Queen Street, which are both well connected to other parts of the UK. The city has a two-line subway system with stops near major landmarks and is a historic attraction in its own right, being the third oldest underground train system in the world behind those in London and Budapest. Day tickets are available, and are a sensible option if you’re planning on doing lots of sightseeing. If you're thinking about a trip to Glasgow, then why not explore the cultural and historic delights of some of Scotland's other cities? 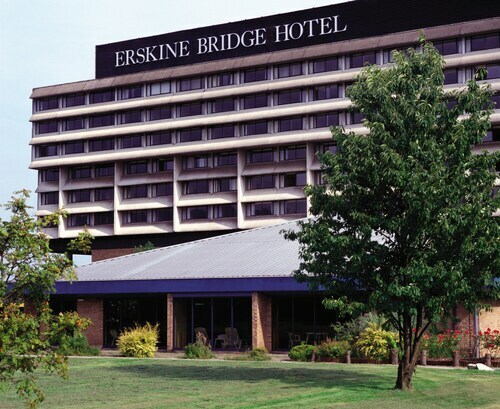 Book great deals on hotels in Edinburgh and Dundee hotels with Expedia. Explore Glasgow with Expedia's Travel Guides to find the best flights, cars, holiday packages and more!